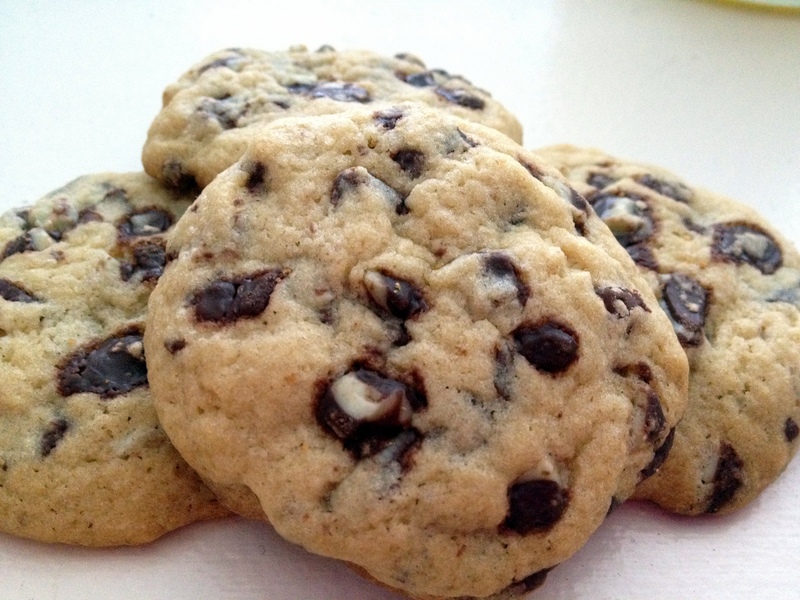 andes mint chocolate chip cookies. anyway. ever since i made my york peppermint patty chocolate chip cookie bars over christmas time, i’ve been wanting to make another sweet treat with the same flavors. 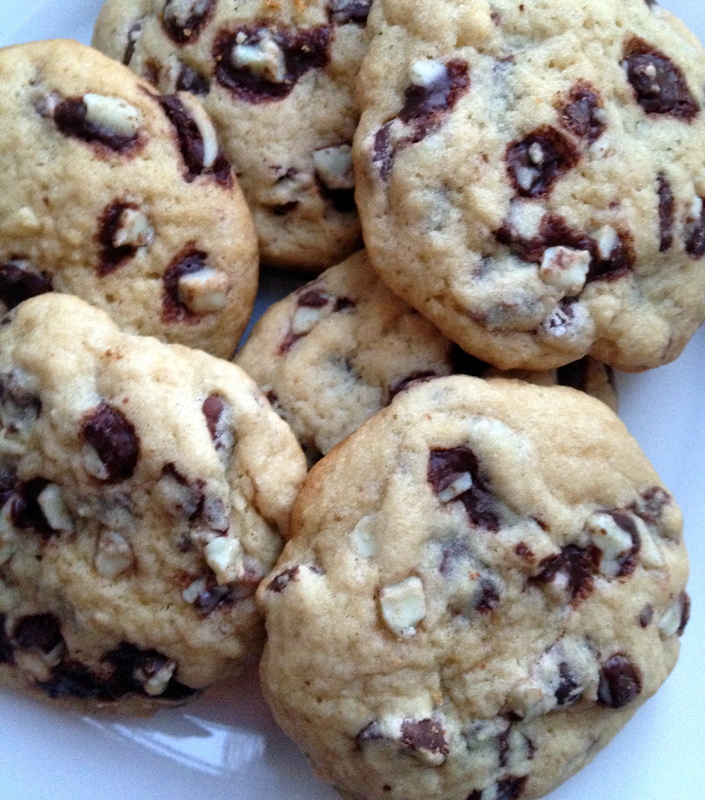 i stumbled upon beth’s mint chocolate chip cookies and tweaked the recipe a bit to bake up, what i am almost 100% convinced, is my favorite cookie to date. note: if you can’t find andes mint chocolate baking chips in a store near you, you may simply chop up some andes mint bars and throw them in instead. give these a try, you will NOT be disappointed! Beat the butter and both sugars together on medium speed until light and creamy. Add the eggs one at a time, mixing well after each. Add the vanilla. In a separate bowl, whisk together the dry ingredients (except for the andes mint chips and chocolate chips) and add to the butter mixture until just combined. Mix in the Andes chips & chocolate chips. Dough will be sticky, so chill for at least 30 minutes. Drop by rounded tablespoon-fuls onto ungreased baking sheet. Bake for 10-12 minutes until sides begin to brown. Cool completely on a wire rack and enjoy! « snickers bar stuffed chocolate chip cookies. I haven’t seen the Andes baking chips. I’ll have to look for them. Sounds like a great cookie. Yummm! I can’t believe I never thought to do this before, so sweet, so simple, so creative. I love the Andes baking chips! I had some of the white peppermint ones over Christmas – absolutely divine! The cookies look incredibly yummy! They wouldn’t last long in my house.